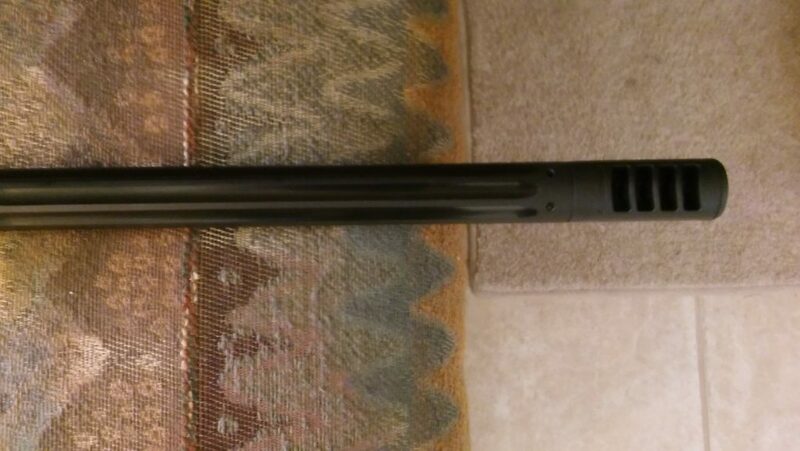 I never owned a Gamo pellet gun before… I now have a Hornet Maxxim .22 cal pellet gun. Some people say that Gamo products are crap…BUT I have NEWS… this gun is freakin awesome! 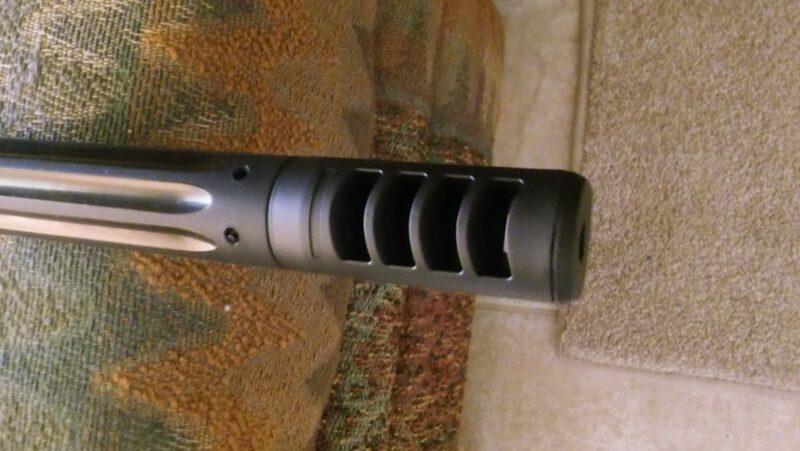 The Hornet Maxxim barrel is heavy in diameter with flutes and a great looking muzzle brake/suppressor. The barrel design minimizes vibration and noise. Great for backyard shooting. 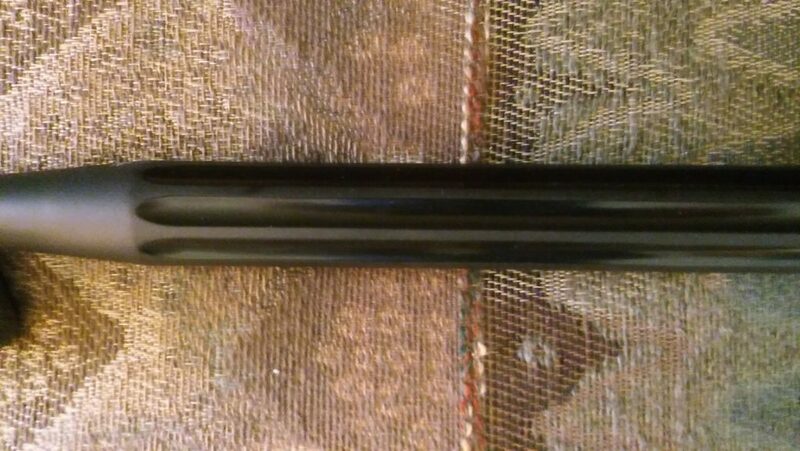 Here is a closeup view of the thickness of the barrel…and the flutes. It’s one stout barrel and it just looks awesome!! 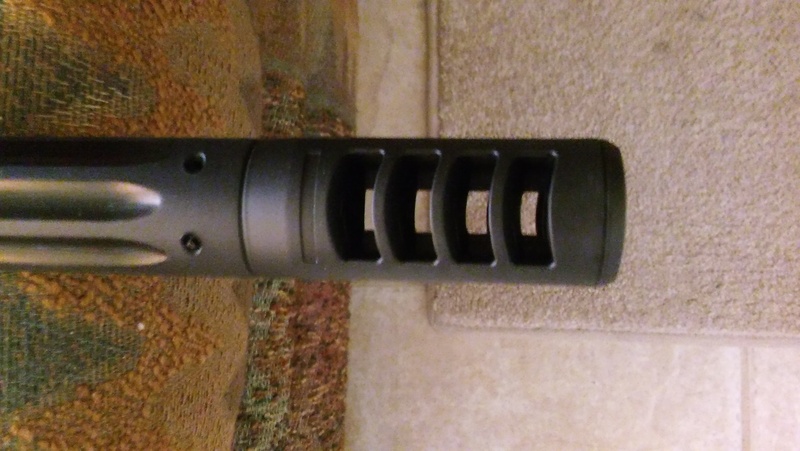 Here’s the muzzle brake or suppressor. It is very effective and looks great. 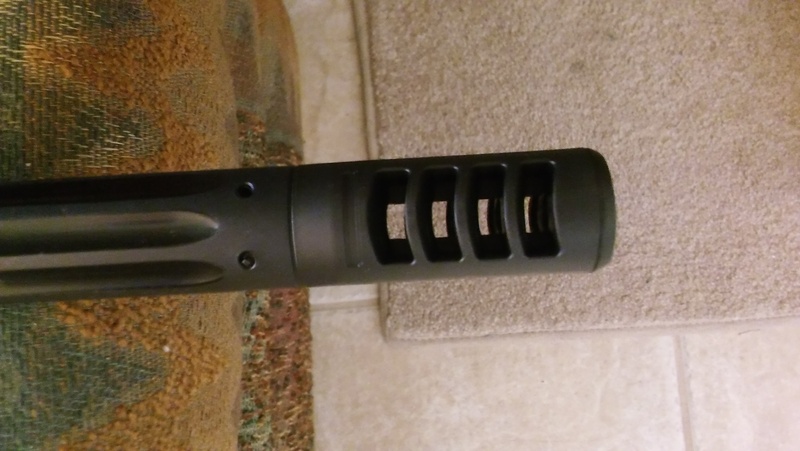 Another view of the Gamo muzzle brake. Fantastic design!